Last night, a few hours before Nowruz, Iranians in the southwestern city of Andimeshk clashed with security forces over the installment of a pro-regime billboard in their city with reports of fatalities. The billboard had images of the so called “shrine defenders”, regime forces sent to fight for the Assad regime in Syria. People are angry over the installation of a billboard containing images of regime proxies killed in Syria, known as "Shrine Protectors." In mid-February, locals brought down the billboard in the southwestern province of Khuzestan. It was not installed again until last night. During yesterday’s clashes, angry protesters attacked the pro-regime Red Crescent building and set fire to it. 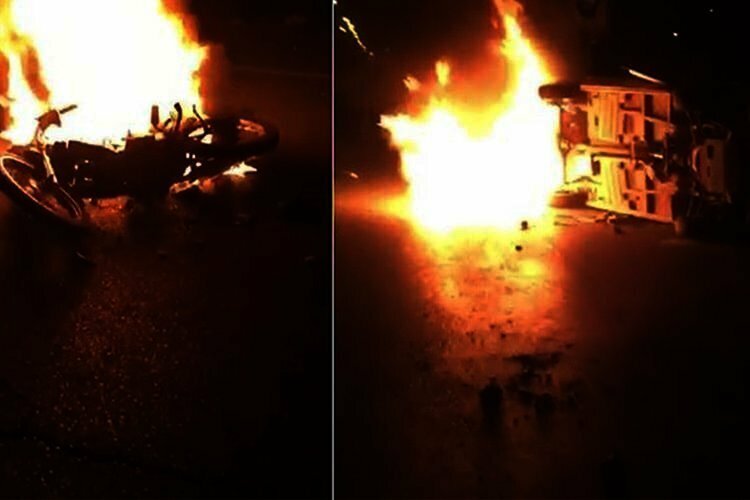 Reports from inside Iran also indicate that they also set fire to cars and motorcycles which belonged to security forces.